For over 50 years Cansel has helped organizations in the engineering, surveying, construction, mining, architecture, manufacturing, printing, utilities, forestry, and government sectors measure, analyze, design, and build more efficiently and profitably. Cansel’s national team of professionals combine software, hardware and services to provide tailored solutions to improve your workflow, from field to finish. The Canada BIM Council serves as Canada’s business voice for the entire construction industry, education community and owners who are working collectively with Building Information Modeling (BIM) technologies and practices. As a growing organization, they look for every opportunity to collaborate with other BIM organizations, professionals and industry stakeholders. They participate in conferences, information sessions, symposiums, and round table discussion relating to the advancement of BIM. They also host their own quarterly sessions throughout the year where they invite their members to sit in with relevant guest speakers to discuss in an open forum the latest happenings in BIM. The Canadian Rental Association (CRA) is the main source for information, resources and tools for equipment rental companies. The association advocates the benefits of choosing a CRA member organization for their professionalism, knowledge and expertise. The CRA is committed to improving personal and business development through the promotion and support of and advocacy for the Rental Industry within Canada. Construction Specifications Canada (CSC) is a national multi-disciplinary, non-profit association with chapters across Canada. CSC is committed to delivering progressive education, certification, publications and professional networking opportunities for the design and construction community. To this end, it pursues the study of systems and procedures which will improve the co-ordination and dissemination of documentation relevant to the construction process. CSC seeks to enhance the quality of the design and management aspects of construction activity through programs of publication, education, professional development, and certification, believing that in so doing it can best contribute to the efficiency and effectiveness of the industry as a whole. The Maritimes Energy Association is an independent, not-for-profit organization representing businesses that provide goods and services to the energy industry in eastern Canada – offshore & onshore, renewable & non-renewable, domestic and export markets. Its membership primarily consists of local businesses that are part of the supply chain and employ thousands of people, injecting millions of dollars into the regional economy. The British Columbia Common Ground Alliance is a non-profit organization established to lead development of consistent practices and coordination of activities to ensure the highest possible standards of worker safety, public safety and damage prevention in connection with underground infrastructure. It works to offer practical tools and to foster an environment in which anyone resident or doing business in British Columbia is aware of and compliant with best practices in regards to underground infrastructure or disturbance in order to ensure the safest possible environment for the citizens and workers of the province. The B.C. Road Builders and Heavy Construction Association (BCRB&HCA) is a non-profit organization representing a collection of competitive firms engaged daily in all aspects of road building, rehabilitation, heavy construction, highway maintenance and the supply of related goods and services. It is the recognized advocate for the development and maintenance of core infrastructure and a balanced, safe transportation system that promotes economic growth and a sustainable environment. The assocation promotes awareness, innovative solutions and value for investment in core infrastructure, as well as provides training, safety awareness, support, fellowship, ethical leadership and a strong voice for all its members. The Vancouver Regional Construction Association (VRCA) represents more than 700 general contractors, specialty trade contractors, manufacturers, suppliers and professionals active in the multi-billion dollar construction industry in the Lower Mainland and Fraser Valley. VRCA members are involved in all size operations from multi-national corporations to small owner/operator businesses. One of Canada’s largest and most dynamic construction associations, the VRCA provides construction opportunities, training seminars and networking events. The Association for Mineral Exploration (AME) is the lead association for the mineral exploration and development industry based in British Columbia. Established in 1912, AME represents, advocates, protects and promotes the interests of thousands of members who are engaged in mineral exploration and development in B.C. and throughout the world. AME encourages a safe, economically strong and environmentally responsible industry by providing clear initiatives, policies, events and tools to support its membership. The Alberta Roadbuilders & Heavy Construction Association (ARHCA) is the largest heavy construction association in Canada. They represent contractors who work on the construction and rehabilitation of highways, municipal roads, bridges, sewer, and water projects, as well as the suppliers (such as equipment dealers, finance companies, aggregate suppliers, law firms, etc. ), and consulting engineers who work with them. The ARHCA supports long-term, stable investment in transportation infrastructure and believes that a strong transportation system is essential to Canada’s future, providing a cost-effective method of moving goods and services to local and world markets, and giving Canadians a safe and efficient way to travel. Calgary BIM Community (cBIMc) exists to connect members of Calgary’s AECO industry that share a common interest in BIM (Building Information Modeling), Integrated Project Delivery and Sustainable Design. This association holds meetings bi-monthly that include presentations from vendors, cBIMc members and opportunity to network with other members of the Calgary AECO community. Its mission is to expand awareness of BIM processes and technology to local contractors, designers, consultants, developers, and facility managers. The Calgary Construction Association (CCA) is a non-profit voluntary membership association which is involved in the fostering and advancement of the interests of those who are engaged in, or who are connected with the institutional, commercial, industrial (ICI) sectors of the construction industry in Calgary and surrounding area. Its mission is to create opportunities, deliver the best leading edge services, and be the effective voice for the construction industry. The Edmonton Construction Association (ECA) is an incorporated, not-for-profit trade association representing over 1,300 general contractors, trade contractors, manufacturers and suppliers, and associate members from across Alberta. It is a members-first organization, keenly focused on procurement, collaboration, networking, education, and positive leadership. The association offers educational and training opportunities to its membership, hosts social and networking events, as well as provides unparalleled access to comprehensive tender information, both public and private. The Saskatchewan Heavy Construction Association (SHCA) is a member-driven organization with a board of directors drawn from the membership and a president and staff who work with the board to provide the best representation, advocacy and services to all members. It acts as a voice for members of the heavy construction industry, as well as a service centre for members to stay current with tenders, technology, regulations and other changes in the industry. The Manitoba Heavy Construction Association (MHCA) is a non-profit trade organization representing the heavy construction (heavy civil) and related industries in Manitoba. They are the recognized voice of the heavy construction industry in Manitoba, promoting sustainable investment in core infrastructure to support economic growth benefiting our province, and country in a manner consistent with the broad public interest. Their mission is to strategically engage stakeholders to promote economic growth enabled by broad infrastructure investment strategies,advocate progressive legislative and regulatory reform, and facilitate access to comprehensive safety, innovative vocational and related education. The Ground Breakers User Group is a community of like minded Autodesk Civil 3D users who gather throughout the year to share experiences, ideas and knowledge in the use of Autodesk Civil 3D software within Ontario. By organizing guest presenters, user networking and connecting with industry experts from a variety of disciplines, it is our intention to advance the knowledge base and understanding of the software. 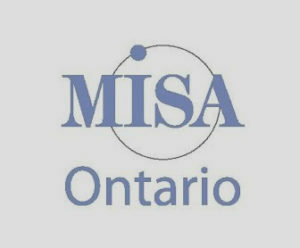 MISA Ontario was established in the mid-1970s to assist municipal government representatives and others interested in the effective use of information technology. MISA Ontario strives to promote and provide leadership in the efficient and effective use of municipal information systems and technology, and to facilitate strategic alliances between public and private sectors. 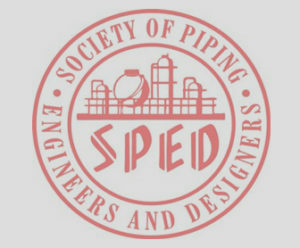 The Society of Piping Engineers and Designers is an International organization promoting Excellence and Quality in Piping Design and Engineering through networking, training and certification programs. They create opportunities where the local Toronto construction industry can work together to resolve the challenges we face in the ever evolving flow of information, the increasing complexities of construction and the desire we all have to improve as an industry. Groupe BIM Québec, a non-profit membership organization registered with the Québec Enterprise Registrar, was created by leading BIM stakeholders in the province in the hopes to create an environment conducive to the sharing of experience and expertise, and to maintain the adoption curve for these new practices. Its members contribute to better integrate constraints and specificities pertaining to Québec, as well as develop new opportunities for this new professional practice. Contech is a leader in the building industry for training (building, architecture, engineering and construction), and organization of building exhibitions (building shows in Montreal, Quebec City, Abitibi, etc. ), contests (Innovation Awards), and gathering events for building managers, architects, engineers, builders, manufacturers and other players in the building and construction industry. Its mission is to enrich the expertise and network of contacts for building professionals in Quebec. The Québec Road Builders and Heavy Construction Association (ACRGTQ) represents goods and services contractors and suppliers specialized in road construction, civil engineering and heavy construction in the province of Québec, in Canada and abroad. Its mission is to ensure that its members remain informed, competent and reliable builders, notably through the implementation of a code of ethics for its entire membership, moral standards which must be observed by all. Founded in 1977, the Association of Architects in Private Practice of Québec (AAPPQ) is a non-profit organization defending the interests of nearly 400 architect offices of all sizes with the government authorities and their clients. Its mission is to enhance the role and working conditions of architects in private practice, to improve terms associated with the tender process and the awarding of contracts, to document and promote the architect profession, and to offer value-added services to its members. Founded in 1998, the Québec Formwork Contractors Group (RECQ) brings together over 200 members and business partners who work together in the formwork industry. This association’s mission is to promote the formwork industry in order to help move it forward, to ensure the succession of the profession of formworker, and to defend and put forth the interests of formwork contractors. The Québec Infrastructure Contractors Association (AQEI) represents general contractors specialized in civil engineering and infrastructure, whose clients mainly include Québec cities and municipalities, and numerous government agencies. The AQEI is also comprised of subcontractors, material and equipment suppliers, as well as service providers. The AQEI’s mission is to represent and promote the interests of its members before the various stakeholders in Québec’s municipal infrastructure sector, so that they can achieve and maintain a high level of competence and recognition. The Newfoundland & Labrador Construction Association (NLCA) was founded to serve as the voice of the provincial construction industry. It provides a forum through which members can discuss and resolve matters of common interests. Their goal is to co-ordinate and develop policies and programs that will enhance the professionalism, productivity, and profitability of members. The Fredericton Northwest Construction Association (FNWCA) is a well established industry organization with over 150 members. With a mandate of representing the interests of General Contractors, trade and sub contractors and suppliers, the FNWCA proudly serves its members mainly located in the western part of the province with satellite offices up the St. John River Valley in Woodstock and Edmundston . A plans room and a state of the art copy centre provides its members with valuable access to all current projects. The Construction Association of Nova Scotia (CANS) is the leading voice of the construction industry respected by members, government, industry, and the public. CANS represents more than 780 large and small companies throughout Atlantic Canada that build, renovate and restore non-residential buildings, roads, bridges and other engineering projects. It is recognized as a provider of the highest quality and value added services. The NWT & Nunavut Chamber of Mines has been the voice of the Northern mining and exploration industry since 1967. The overall goal of the Chamber is to promote the industry and the north to Northerners, Canadians and the world at large. The Chamber advises governments, regulatory agencies, investors, Aboriginal groups, the media, schools and universities, and the public on industry positions and initiatives. The Chamber’s primary objective is to encourage, assist and stimulate the prosperous, orderly and environmentally responsible development and growth of mining and mineral exploration in the NWT and Nunavut.